All types of car servicing, repairs and inspection e.g. 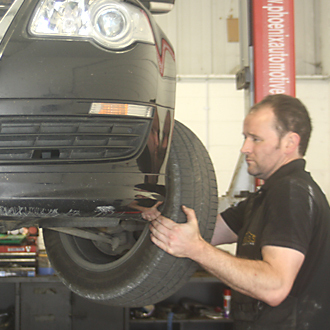 : timing belt, suspension repair, brakes etc. 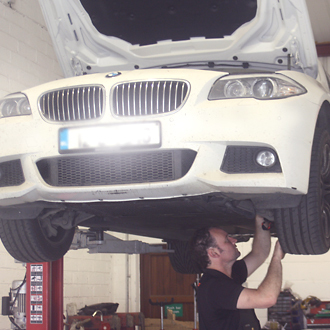 Gearbox repairs and reconditioning clutch and flywheel replacement, driveshaft repairs etc. Engine repair e.g. 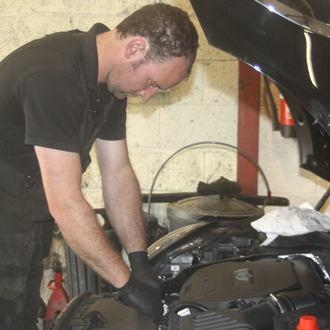 : head gasket, engine replacement, camshaft/crankshaft repair etc. Vehicle Diagnostics and servicing, wiring repair, Control unit replacement and coding, Key coding and adaption. Autologic Diagnostics provides comprehensive automotive diagnostics and expert technical support to a worldwide customer base of independent garages, including V.A.S.S. Motor Works. The diagnostics include use of dealer level software, updates, performance and tuning. Our diagnostic supplier for Volkswagen, Audi, Seat and Skoda (VAG; which contrary to popular belief is not Volkswagen Audi Group, it is in fact Volkswagen Atiengesellschaft which translates to Volkswagen Corporation), BMW, Mini, Mercedes Benz, Peugeot, Citroen, Renault and Dacia is Autologic Diagnostics. Autologic is a UK based vehicle diagnostic company that provides technical support and diagnostics for all these vehicles while also providing software updates. They have proven themselves to be equal to, and in the majority of cases, better equipped than the main dealer equivalent. Enable retrofitting; cruise control, fog lamps etc. Texa is our diagnostic multitester for all other makes of vehicles. TEXA is recognised as a class leader in the multitester industry and provides us with constantly updated information. It is particularly effective with certain manufacturers such as Ford, Toyota, Honda, Opel. At V.A.S.S. Motor Works we only use PETRONAS Oil. PETRONAS has been the best engine oil on the market for the past number of years and continues to be the ideal oil solution. It is particularly effective for engine protection and lower emissions. Oil is critical to the functionality of modern vehicles, particularly modern diesel engines fitted with Diesel Particulate Filters and while other workshops might feel its ok to use “cheap” or inferior oil in your car we do not and will not take that risk. For all vehicles, subject to availability, we only use OE (Original Equipment) Manufacturers. This essentially means that the only difference between the part that we use and the part that the franchised dealer uses is that the dealers part will have the vehicle manufacturers stamp on it whereas ours wont. They are the exact same parts made in the same factory with the exact same quality but at a greatly reduced price. Examples of these companies are: Bosch, TRW, ATE, Lemforder, Febi, LUK, Sachs, Mahle, Knecht, Mann, NGK.